About 60 passengers aboard an Azman Air plane en route to Abuja were on Monday thrown into confusion as the aircraft almost ran out of fuel while hovering in the air for hours after it was prevented from landing. The pilot was in a dilemma and thought about returning to Kano after spending over an hour hovering in the air and having already announced that he was running out of fuel. Some passengers rejected the decision and prevailed on him to land, saying that they would be down with the consequences of violating the directive of the control tower. The pilot was said to have yielded to the request and landed without clearance from the control tower. 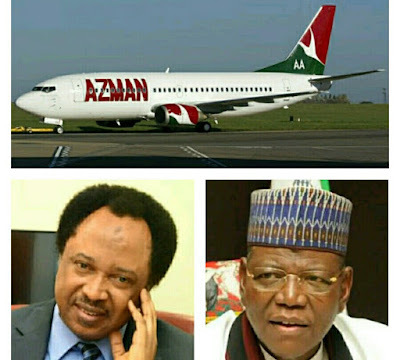 Among the passengers were Sule Lamido, a presidential aspirant of PDP, Senator Shehu Sani, representing Kaduna Central, and Senator Sabo Mohammed from Jigawa State. The pilot was reported to have apologised to the passengers for the delay. Efforts to get officials of the Federal Airports Authority of Nigeria (FAAN) to react to the incident were unsuccessful. Some military planes belonging to Air Force are on aerial display rehearsal in Abuja ahead of the Independence Day celebration on October 1.